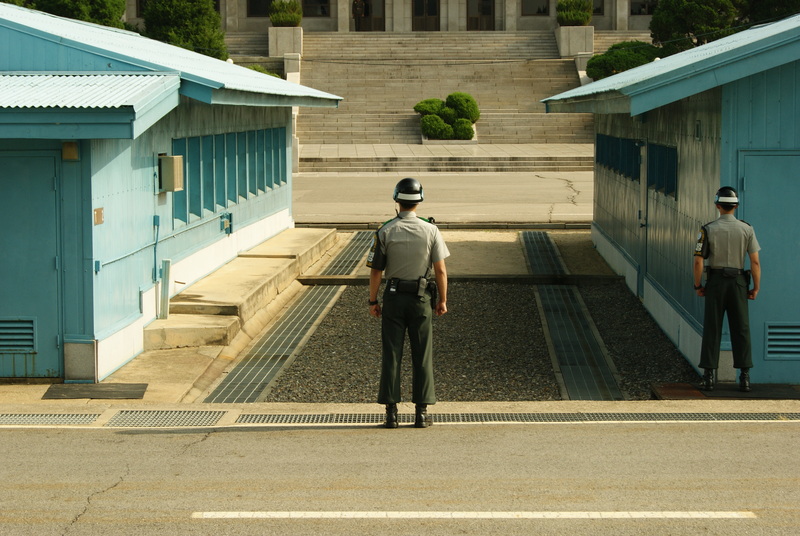 Danielle and I took the USO tour to the DMZ (Demilitarized Zone) separating the two Koreas. 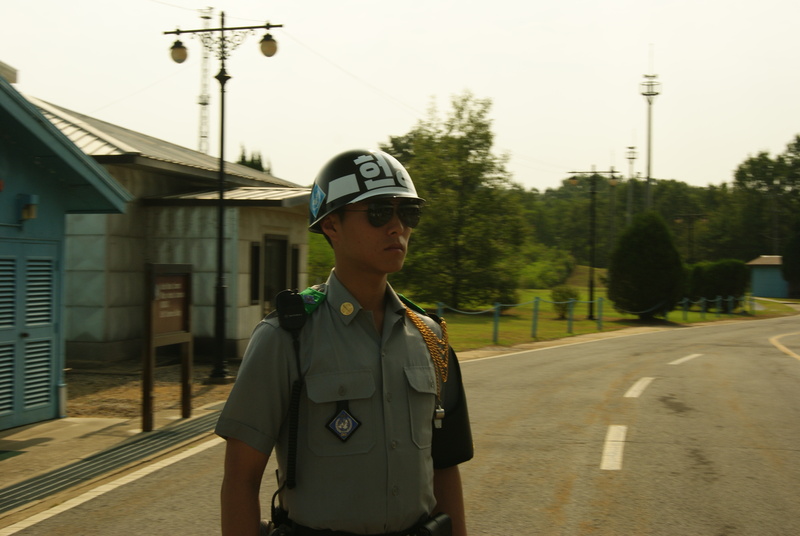 The South Korean soldiers stationed along the border are the cream of the crop. According to the tour guide, they must be expertly trained in at least two martial arts, expert marksmen, above average intelligence…I think you get the picture. 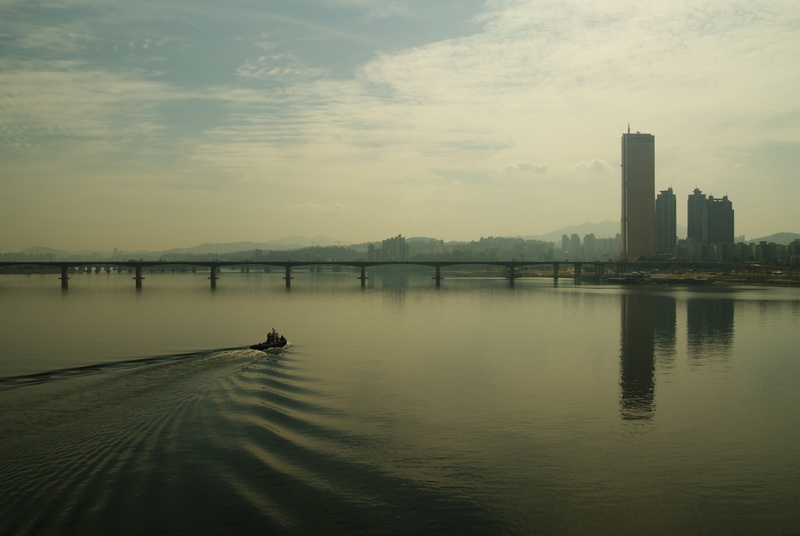 They stand in a modified Taekwondo stance with fists clenched staring into the North behind mirrored aviator-style sunglasses. I managed to take this picture while our tour group was heading out of one of the blue buildings seen in the first photo.